This is a boot we made for a friend of Legendary Boot Co. to match his bike. The foot is semi gloss Bullhide with a 14" smooth grey Ostrich top flame stitching & Bullhide collar. 2 1/2" heel and heavy Vibram sole & heel. 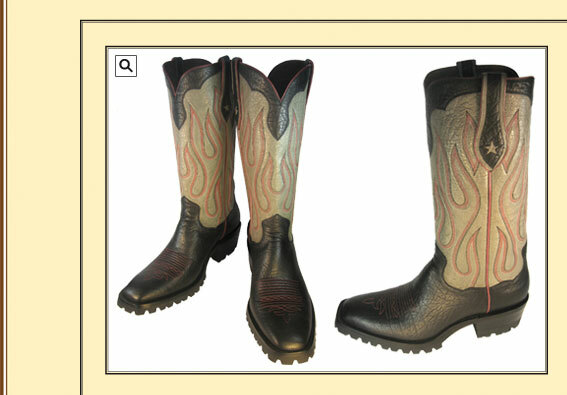 We can put a traditional leather sole and heel if you want a more cowboy look.